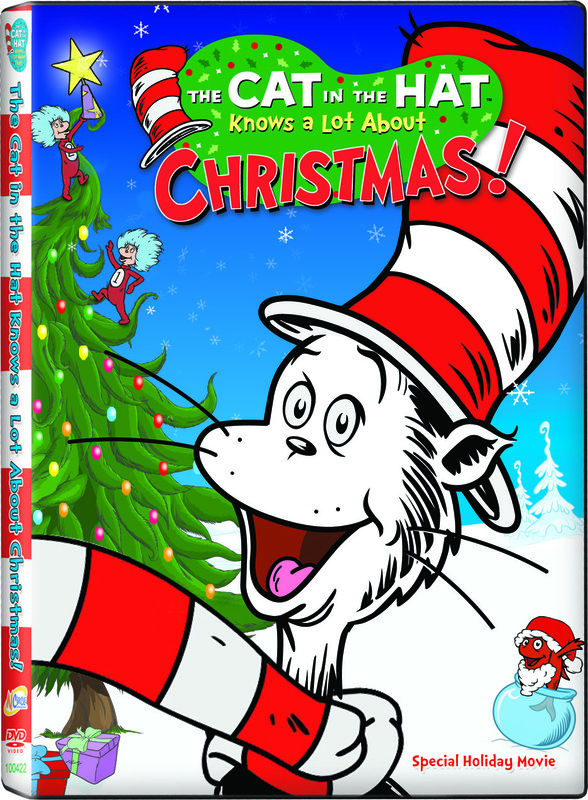 NCircle has great family videos to keep your preschoolers entertained this holiday season, including two BRAND NEW seasonally themed DVDs from PBS Kids' The Cat in the Hat Knows a Lot About That! and Nick Jr.'s Dino Dan. Roo and Jasper are getting older but they still love to watch the shows they grew up with. These make great stocking stuffers or last minute holiday gifts! 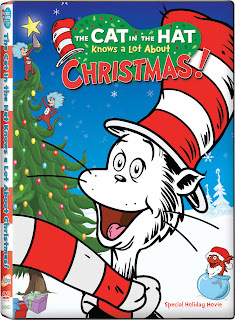 “The Cat in the Hat Knows A Lot About Christmas” (NEW) – premiering this fall on PBS, this new DVD was specially-produced to ring in the 2012 holiday season, and features the voice of Martin Short as the Cat. Both of my kids still loooooove this crazy cat! 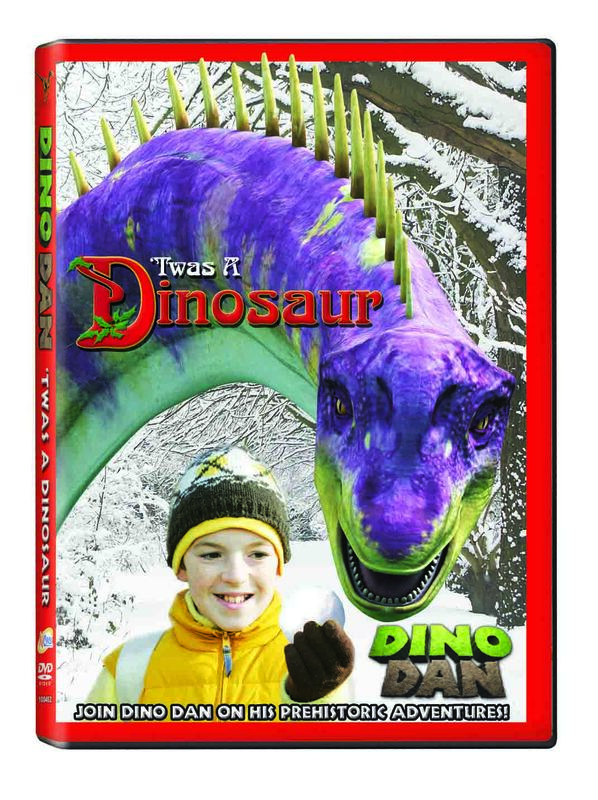 “Dino Dan 'Twas a Dinosaur" (NEW) - follow the adventures of paleontologist-in-training Dan Henderson as he learns what might have caused the extinction of the dinosaurs, tracks down a Euplocephalus, and gives the poem "The Night Before Christmas" a new spin! This is not a show we were familiar with but both kids really got into it. We will definitely be checking it out again. "Happy Holidays WordFriends" - a fun and festive DVD from the multiple Emmy Award-winning PBS Kids series, WordWorld, featuring three episodes – The Christmas Star, A Christmas Present for Dog, and Duck’s Family Reunion – plus a bonus music video, Dancing Dog. Jasper, in particular, enjoys this show. He's just starting to read so I think it makes a big impact on him. 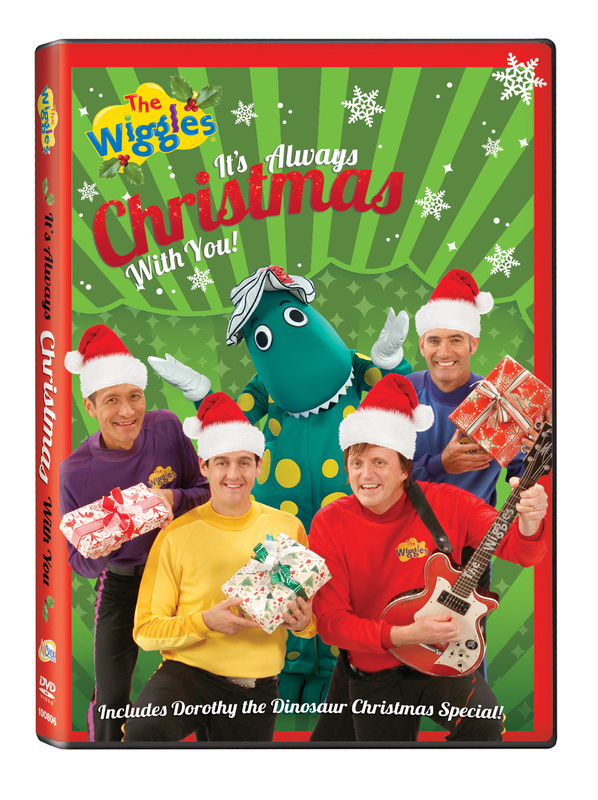 "It's Always Christmas With You" - the most recent holiday DVD from The Wiggles is a real treat for the entire family, filled with 14 original new tunes and seasonal favorites. The DVD features special celebrity guests (including ‘N Sync’s Joey Fatone) in performances filmed around the globe. Okay, I know many kids are fanatically devoted to them but my kids really don't get into The Wiggles. And I'm alright with that. The holiday theme makes them less freaky than usual to me, though. 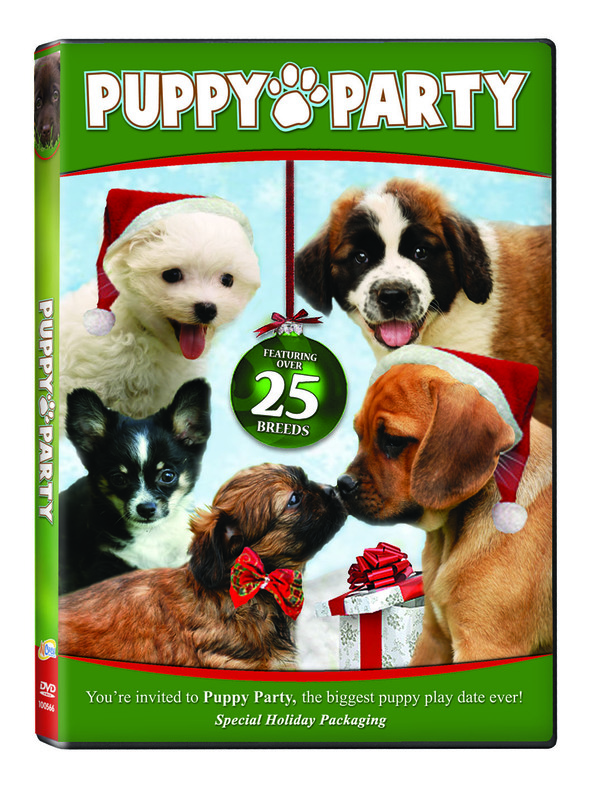 “Puppy Party” - available in fetching holiday packaging, this adorable live-action DVD from Animal Atlas features Milo, the adorable Labrador Puppy, who’s invited over 25 puppy pals to a party! 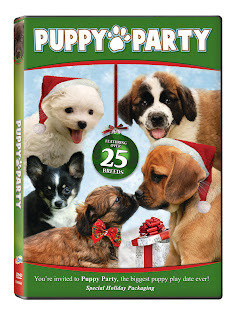 Filled with facts and antics, and an ideal treat for animal lovers young and old. Roo loves this. It's full of puppies of all shapes and sizes. What's not to love?! 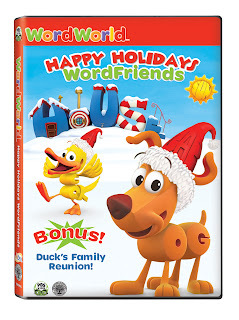 In accordance to the FTC Guidelines and the WOMMA Code of Ethics, I am disclosing that we received copies of the DVDs pictured to facilitate this review. No compensation was provided for this post. All opinions are, as usual, entirely my own. We have the Word World one and the kids love it! 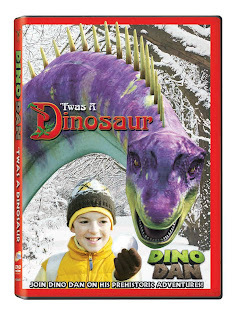 I think the Dino Dan 'Twas a Dinosaur" one looks awesome! !